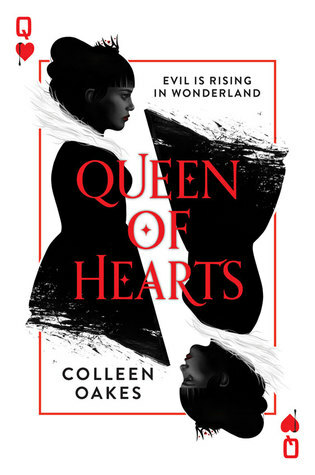 About the Author: Colleen Oakes is the author of books for both teens and adults, including YA fantasy retellings The Queen of Hearts Saga and The Wendy Darling Saga, and the Elly in Bloom series which is women's fiction. She lives in North Denver with her husband and son and surrounds herself with the most lovely family and friends imaginable. When not writing or plotting new books, Colleen can be found swimming, traveling and totally immersing herself in nerdy pop culture. She currently at work on another YA fantasy series and a stand-alone YA novel. Check out author's other books or related books? I'm going to get the second as soon as possible. Notes and Opinions: This was a very good spin off/retelling of Alice in Wonderland though there is no Alice in it. This is all about the Queen of Hearts and her beginnings. I love Alice in Wonderland so I am always down for reading spin offs and this was a good one. I liked the character development though Dinah got a little whiny sometimes. I think that was the point though. Oakes wanted to show how much of a spoiled little girl Dinah was. I loved the ending and I cannot wait to see where the story goes. This is the first book in a trilogy. Go Into This One Knowing: There are beheadings, wars and infidelity. Hey! Check out my #bookstagram account (@the.literary.coffee.faerie)!